While the world is focused on the battle against ISIS (Daesh), there is another situation in Iraq which has in general passed under the radar of most people who are watching events in the Middle East. That is the extreme hardship and in certain cases summary execution of Iranian dissidents who are living in prison like refugee camps in Iraq. This situation was brought to my attention by an associate of the National Council of Resistance of Iran (NCRI). While I don’t get involved in politics, the humanitarian situation is one which needs to be spoken about. First there needs to be some background to bring things into context. The People’s Mojahedin Organization of Iran (PMOI) a major member of the National Council of Resistance of Iran began in the 1960’s as a group involved in armed struggle against the Shah of Iran. After his overthrow in 1979, PMOI sided briefly with Ayatollah Khomeini the new ruler of Iran. However, a power struggle broke out between PMOI and Khomeni and the Revolutionary Guards, resulting in street battles. When the Iran-Iraq war broke out, Saddam Hussein gave them refuge in Iraq from where they launched military operations into Iran. In 2003, PMOI renounced all violence and disarmed itself. Since 1985 these Iranian dissidents have been living in Camp Ashraf in Iraq. They basically built it from nothing, a city of some 14 square miles and home to thousands of people. It has all the features of a modern city and is very well looked after. In 2004 the US led Multi-National Force – Iraq (MNF-I) formally recognized all the residents of Camp Ashraf as “Protected Persons” under the Fourth Geneva Convention [Coalition Statement, July 2004], and U.S. forces took up their protection. So what went wrong and how did the humanitarian crisis develop? 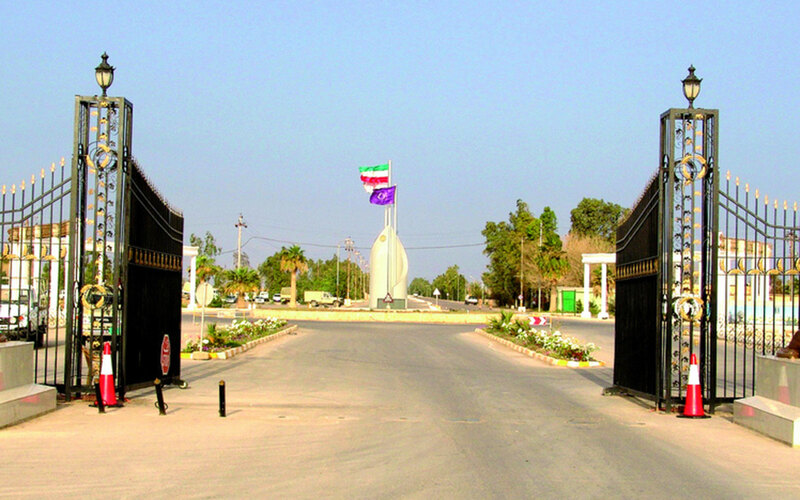 In 2009, responsibility for the protection of the residents of Camp Ashraf was handed over to Iraq. That same year, Iraq launched an attack against it and again in 2011. The first attack killed 11 and wounded some 500, the second attack killed 36 as well as wounding many hundreds. There have also been cases of summary executions carried out against certain residents. Since 2009, Ashraf has essentially been placed under siege with basic supplies heavily restricted. Considering the fact that they are protected under the Fourth Geneva Convention the question must be asked, why has this been allowed to happen? The answer is quite simple, the Iraqi government under then Prime Minister Nouri al-Maliki was under the direct influence of the Iranian government. Iran has never forgiven the people of Camp Ashraf for standing against it, even if they renounced all armed resistance years before. Using the Iraqi government, Iran is determined to make them pay. The situation has not changed since the creation of a new government in Iraq under Prime Minister Haider al-Abadi, Iranian influence is still directly felt. 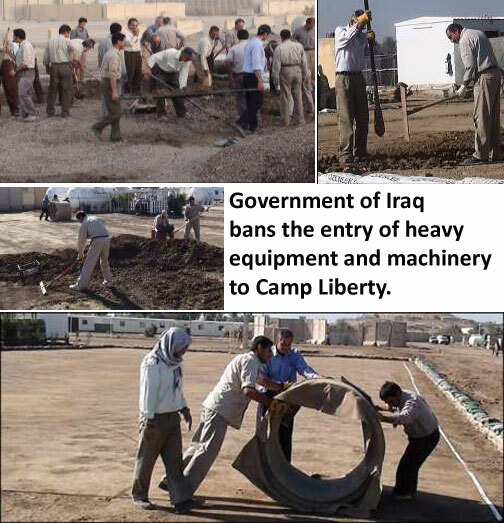 To make matters worse, in 2012 residents of Camp Ashraf began to be forcibly evicted and transferred to Camp Liberty, an ex US base in Baghdad. The conditions there are horrendous, it has been turned into little more than a prison camp, food and medicine is restricted, young and old alike are treated as prisoners. They have lost their freedom of movement to go outside the camp. The Iraqi government has forbidden the use of heavy machinery which could be used to help them build homes and move heavy items. It would appear the government wants to humiliate them as much as possible. The question has to be, how is it possible that these people, who have personal letters of protection from the United Nations, giving them protection under the Fourth Convention are allowed to be treated this way, when they were doing no harm to anybody? Yes, they want to see change in Iran, but the armed struggle was given up a long time ago. Camp Ashraf had developed into a modern city where people lived quietly and had a good quality of life. Now they are being kept in a ghetto. The USA has certainly abdicated its responsibility to these people. It was the US which made an investigation of every single resident to see if they were involved in armed struggle and it was the US which then took on the responsibility of protecting them. Handing over this responsibility, it must have known what would happen as the Iraqi government is so much under the influence of Iran. The US and the UN have effectively turned their backs on these people for purely political reasons. Mainly to keep negotiations on track with Iran as well as its usefulness in balancing the power of Saudi Arabia in the region, add to this the need to keep the Iraqi government on side in the “war on terror”. So what, if a few thousand men women and children have to suffer as a result of political expediency! President Obama’s recent statement that, “we don’t have a strategy yet” with regard to confronting ISIS or Islamic State, is a clear demonstration of the impotence of the West. A large part of this is down to the sheer disunity of all of all the different groups in Iraq. Some Sunni tribes support ISIS while others don’t. All the talk is about arming the Kurds and letting them fight ISIS, however I think too much importance is being given to this. The Kurds are obviously interested in defending their territory but they are also asking the question why they should have to shoulder the bulk of the battle against ISIS when this is an Iraqi problem more than a Kurdish problem, Baghdad should be taking more of a lead. The simple fact is that the Kurds are fighting more for their independence than anything else and they have no real desire to fight well away from their own territory. In Baghdad they are still trying to put together a broad-based government which will address the issues of minorities, particularly the Sunni, they are certainly taking their time about it. Until that happens it is difficult for there to be any really coordinated government policy on how to address the ISIS crisis. It also keeps the hands of the USA tied, there really isn’t anybody in Iraq at the moment who is in a position of authority to unite all the tribes and coordinate with the USA. It is ironic that the first country to supply weapons to the Kurds was not one of the Sunni Arab countries in the region but rather the Persian Shia of Iran. This demonstrates again the lack of unity in approach of the Arab world to the ISIS threat. The Arab world all talk about the threat but to be honest they couldn’t organize a piss up in a brewery when it comes to working together on a regional level. Not that they would organize a piss up in a brewery, that would be haram (forbidden) A perfect example of this lack of unity of purpose is Syria, instead of working together they funded different moderate groups of fighters that are more in competition for personal glory rather than all uniting together, this is also part of the reason why ISIS has been successful in Syria, they took advantage of all the divisions. ISIS is essentially an Arab problem and until the Arabs unite there is very little that the USA or anybody else can do to help. Estimates put the number of ISIS fighters in Iraq at about 15,000, a concerted regional effort could severely diminish their strength. While ISIS are on a winning streak they are attracting Jihadi fighters from around world to the cause of Islamic State. A few serious blows against ISIS would have a huge psychological impact and reduce the attractiveness of the cause. It is well known that Jihadi fighters are more likely to join a cause they think they can win rather than one they can’t. At the moment they think they can win. The current situation in Iraq is very fluid, after massive gains ISIS are now having to fight to hold and gain territory, with some wins and losses it seems now is the crucial moment when a concerted regional effort could break the back of ISIS. Will it happen? I doubt it. In the meantime Iraqi Shia militia groups funded by Iran are playing a larger role in the battle. These militia are also turning on Iraqi Sunni. The threat to Iraq is not only ISIS but also the increasing danger of conflict between Sunni and Shia in the capital Baghdad and beyond. With all this in mind it is understandable when President Obama said, “we don’t have a strategy yet”, the whole thing is a mess. In the meantime our glorious politicians in the UK are talking about existential threats and the risk of terror attacks on home soil, ramping up security powers of the police and state. There is so much talk from them of how the world should be united in dealing with the threat of ISIS but in reality they know there is very little they can actually do. For all the hot air, they are actually demonstrating how powerless they really are. Add to this the Russia/Ukraine situation, which will become far worse, with a real risk of spreading to other countries, and it shows just how useless the global political system is at dealing with serious problems. ISIS (Islamic State of Iraq and Syria) has chosen an interesting time to declare that it is now simply called “Islamic State”, covering the territory it holds in Syria and Iraq. 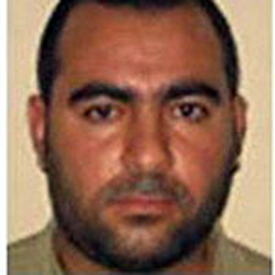 Its leader Abu Bakr Al Baghdadi has been declared Caliph of the new Islamic Caliphate. That this has happened so soon after the beginning of Ramadan, a time most holy to Muslims, when many go on Haj, that is go on pilgrimage to Mecca, has several implications. The first is that by declaring the Caliphate with Baghdadi as Caliph, they are saying that only they have the authority from Allah to say what can and can not be done. This is a direct challenge to the authority of Saudi Arabia, which took on the role of leader of the Muslim world after the fall of the Ottoman empire. Because the area held by ISIS is transnational, covering parts of Syria and Iraq, they believe they are on the way to rebuilding the Muslim empire of old, which stretched from the Mediterranean to the Persian Gulf. With this declaration, Sunni Muslims are being asked to decide where they stand. If they don’t side with ISIS, they will be seen as traitors and enemies of the Muslim faith, wherever they are. The declaration of “Islamic State” at this time acts as a clarion call to many young Muslims who have long been searching for an identity and a cause. That it has happened at Ramadan will encourage many more to join the cause. It has been reported that many Muslim families in Europe are extremely worried about the seductive effect of ISIS propaganda on their young men. To the point that some will not allow their sons out of sight for fear they will run away to join ISIS. Another question has to be asked, who gives them the money to travel? There must already be a large underground organization in Europe which helps them get away and join ISIS. Another effect of the declaration of “Islamic State” is to force other Jihadist groups to decide where they stand. In particular this is aimed at Al Qaeda and its supporters. It is being given a choice to join with ISIS or to be seen as heretical, worthy of destruction. ISIS obviously feel they can take on Al Qaeda if need be, they certainly are not short of money, weapons and infrastructure. In fact this is one of the curious things about ISIS, its level of organization and bureaucracy, it has been established that central control of even the tiniest details is very important to the running of the organization. They demand receipts for even the smallest expenses. Why is this interesting? Arab culture does not place much importance on the idea of institutions and deep organisation, yet here we have ISIS very quickly organizing not only the running of a war down to the last detail but also the running of their ‘Islamic State’. While they are known principally for being very bloodthirsty and ruthless in battle and the application of their version of Sharia, (there are several versions), they have also been very quick to manage the practical realities of running towns and cities, the schools, hospitals and social services etc. This is another reason why I do not believe ISIS is being backed by an Arab country such as Saudi Arabia, culturally it would not be something they could get organized in such a short time. One has to ask the question, which country or countries benefit from there being chaos in the Sunni Muslim world and also know(s) how to set up and run institutions along with the bureaucracy needed to manage those institutions? I leave that for you to ponder. As it is now Ramadan, you can expect to see an increase in the level of fighting, part of the reason for this is due to the fact that ISIS fighters believe that if they are killed fighting in the name of Allah during this period they will be extra blessed in heaven. A fighter in Syria once told me that one time he was fighting alongside a another fighter from Jabhat al Nusra against a Syrian army position. It was Ramadan, the fighter from Al Nusra was shot but his radio stopped the bullet, I think most people would be happy to have a lucky escape, not this Al Nusra fighter, he was sad and felt he must have done something to offend Allah that he didn’t let him die during Ramadan. This is the mentality of ISIS fighters, not only are they very well trained and battle hardened, they are virtually unstoppable. The desire to meet Allah during Ramadan can only mean one thing. If you think ISIS have been pushing hard in Iraq so far, it is nothing compared to what is coming in the next days and weeks. ISIS has a hard fight on its hands, at the moment it is collaborating with ex members of Saddam Hussein’s regime as well as certain tribal leaders. After he fell and the Sunni lost power in Iraq these Ba’ath party supporters melted away waiting for the right time to show themselves again, A lot of these are ex Republican Guard, those who have experience of fighting in the Iran-Iraq war, tough fighters. They see the situation in Iraq now as an opportunity to re-establish the Sunni Ba’ath party in Baghdad. So for the moment they are collaborating with ISIS. However, it won’t last, ideologically ISIS and the Ba’athists are totally different. It will lead to internecine war in Iraq. Add Al Qaeda into the equation, which is unlikely to accept the spiritual leadership of ISIS and what is brewing is something that could make even the situation in Syria look better compared to Iraq. Talking of Syria, members of Jabhat Al Nusra are joining ISIS, even with all their funding from Saudi Arabia they know they can’t defeat ISIS as it consolidates its hold in the north and east of the country. Saying this, it could be that Al Qaeda will open up new fronts against ISIS in Syria. As for the moderate rebels, whose revolution has been hijacked, honestly they don’t stand a chance. 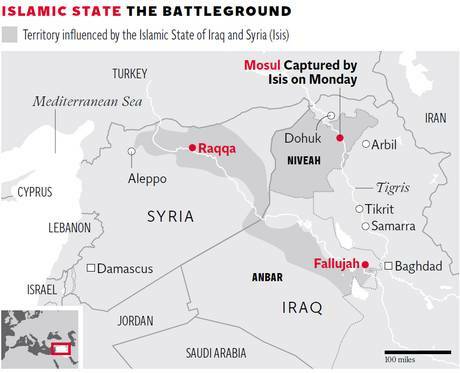 In the areas held by ISIS they are too weak, fragmented and under resourced. President Obama stating he now wants to aid moderates with $550 million of weapons and equipment is simply words, too little and far too late to do anything about reducing the power of ISIS in the north and east of Syria. In the south it will only help the moderate rebels to secure territory in Syria along the borders of Israel and Jordan, a buffer zone against ISIS. Please share if you found this article interesting. Thanks to ISIS or ISIL or Daash as it is also known, the Middle East is in the process of descending into chaos. The USA was warned last year that the growth of ISIS in Syria would lead to a regional conflict, the warning it appears, fell on deaf ears. The result of the growth of ISIS has led to a situation which is only just starting. As ISIS becomes stronger, it is attracting more and more support from disenfranchised Sunni muslims. How can that be? It is after all a very ruthless and bloody organization. The simple fact is this, if you are loyal to them, they are loyal to you and will look after you. There are many poor Sunni muslims who feel betrayed by their governments, in Syria, Iraq, Jordan and Saudi Arabia, if you belong to the right tribe or family then you will have a host of economic advantages and opportunities for education, the rest are left to make a living as best they can. These disenfranchised Sunni muslims see what ISIS is doing as an opportunity to change the status quo, to rebalance and redistribute opportunities to those who follow ISIS. Its ambitions are supranational and do not stop at just Syria and Iraq. Many poor Sunni muslims in the entire region are putting their doubts about ISIS to one side if they feel there is the chance it can bring down those governments which ignore so many of the population. I stand by my opinion, which I wrote about here, that ISIS is ultimately funded by Iran as an instrument of chaos in the Sunni world. Many commentators say it must be Saudi Arabia which is funding ISIS but honestly I don’t see the advantage for them to do this, Saudi is just as worried as its neighbours and is in the process of trying to improve relations with Iran, it knows it will need Iran’s support in the not so distant future as the USA can no longer be relied upon to assist in the Middle East. ISIS is against all Sunni who don’t support it, an example of this is how in Syria it spends more time fighting against moderate Syrian rebels than against the Syrian army of the Alawite/Shia government of Bashar al Assad. Due to the supranational nature of ISIS and the support it is receiving, it seems a time is coming when many poor Sunni muslims will be drawn to it. What we could be seeing is the start of a revolution spanning many countries but under one banner, a larger scale version of both the French and Bolshevik revolutions. A situation where the ‘Haves’ and ‘Have nots’ of the Sunni world go to war against each other. This should terrify governments all over the world, with the squeezing and shrinking of the middle classes in many countries around the world, there is potential for what is developing in the Middle East to happen globally. In the Middle East it will happen in the name of religion but the underlying principles apply everywhere. If the situation in the Middle East continues as I think it will, imagine the impact on oil prices and the global economy. What would happen if such a revolution were to succeed in the Middle East? Might not people of other countries follow suit as the impact on the global economy global shatters lives and security on a much larger scale than happened in the financial crisis of 2007 or the Great Depression of the 1930’s. It is now one hundred years since the assassination of Duke Ferdinand in Sarajevo, which rapidly led to the start of the First World War. Today, the global economy is very fragile, many countries are competing to increase their spheres of influence, nationalism is on the rise, the middle classes are being squeezed from all sides. We are living in a global tinderbox, it only needs a small spark to set it alight, as did those 2 shots fired on 28 June 1914. First there was a lot of talk about the USA and others finally getting directly involved in the Syrian conflict, beyond the help they are already giving to the Sunni rebels with regard to intelligence and satellite imagery. They are only helping in a limited way though, they tell the rebels directly which targets they will help with and which they wont. Now it seems the USA and UK are back-tracking as they realize that the minimum action required to have any sort of effect would actually have to be a major military operation, it would mean having to get into a war that they would not be able to win. Syrian air defense systems are strong and the Russians are sending some of their navy to the Syrian coastal area and would probably also use these to shoot down any missiles that are targeted at Syria. Then there is Iran, they are pretty much in charge of Syria now and running the show. Assad has become little more than a figurehead, he is paying the price for allowing the Iranians to have so much influence since he came to power. It was the Iranians who were the masterminds of the chemical weapon attack in Syria and have control over the country’s stockpile of CW. I would not be at all surprised if they aren’t also moving some of their long range ballistic missiles into Syria. These have a range of up to 3000km. Strategically and operationally this would open up a lot of new possibilities for them. Iran has long held hegemonic ambitions, it is in control of large areas of Iraq, President Maliki of Iraq is in the pocket of the Iranians, Lebanon is also ripe for the taking, Hezbollah is a proxy Iranian operation, the country is essentially without government and is seen by the Iranians as a country they should have control over. So what’s next? You need to get inside the heads of the Iranians to understand their ambitions. They really want to re-establish the Persian empire and will work in all sort of cunning ways to achieve their goals. Jordan is one of the countries in its sights. Let me explain what I believe to be their strategy. This is my personal opinion and I am aware I could be totally wrong so here goes. First: The war in Syria is creating huge numbers of refugees, many of these are going to Jordan, this is creating a strong destabilizing effect on the country and putting enormous pressure on its resources, economy and population, Jordan is not a rich country. The way the war in Syria is being executed by the Iranians has a deliberate aim of creating as many refugees as possible with the knowledge that many will go to Jordan. Second: The south of Syria is slowly being abandoned by the Syrian regime and Iranians. They are still fighting the rebels but they are not concentrating their efforts here, they are however creating as much damage as possible which is driving the ordinary Syrians out and toward Jordan. The impression is being given that the only part of Syria that is truely important is the west of the country, from Damascus to Homs, Tartus and Latakia as far as the Turkish border with everything else slowly being abandoned. Third: This is where I get to what I believe this is all about. In the south of Syria there are huge fresh ground water resources. Jordan under huge strain, politically and economically due to the refugee situation will see, at some point in the not so distant future, that the south of Syria has been abandoned by the Syrians and Iranians and attempt to annex this land. They will do this because of the water that they need and also to repatriate many of the refugees. But this is a trap, when Jordan tries to do this the Iranians will be waiting. I believe that the appearance of giving up on the south of Syria to the rebels is a trap to draw in the Jordanians. Jordan has long been part of an international plan to split Syria into different parts and the Iranians will use this plan against them. There is absolutely no intention of giving up land, it is seen as part of the future Persian empire. So when Jordan makes its move it will be hit very hard by the Iranians, who will also have the support of the Russians. The effect of Jordan having its military destroyed inside Syria as well as its bases attacked inside Jordan will be devastating. And because Jordan made the first move, believing the south of Syria had been abandoned, the Syrian regime and Iranians will be able to say that they were protecting Syrian sovereignty. The Jordanian monarchy will collapse without the use of its military and the country will be thrown into chaos. The monarchy controls pretty much everything in the country, when they go there will be a huge vacuum which the Iranians will use to assert themselves through the figurehead of the Syrian regime. They will have a ‘legitimate’ excuse, Jordan invaded first. Assuming things happen this way then the entire northern border of Saudi Arabia will be surrounded by countries under the control of Iran, Iraq and Jordan. Iran’s ultimate ambition is to take over the Gulf states, gaining control of Jordan will be the first step in that game. Also Israel will be surrounded to the north and east. We live in interesting times. For those of you who are new to my blog, I was in Syria for a month back in March/April. I’m very well connected in the country and still have regular contact in order to get updates on what is happening. This blog post is a little different. I have been analyzing the situation for some time and decided to stick my neck out and give my opinion on where I think all of this is going. I know I might be wrong but hopefully I have given you something to think about. If you have any questions, comments or need something clarified then please ask me.